Poshmark is Heading to Philly! April 16, 2013 August 13, 2014 Categories Community, Events, Influencer Spotlight, Stylebeauty fash, burgundy whispers, events, fashion, fashion blog, Live Posh Party, Philadelphia, philly posh party, ring the alam, Streets and Stripes, style, trend hungryLeave a Comment on Poshmark is Heading to Philly! Philadelphia, are you ready to have a spring fling … with Poshmark? 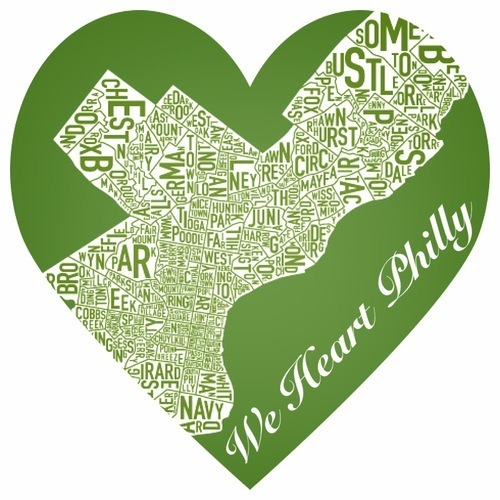 Philly, the city of sisterly love, is going to be the destination for our next Posh Party! We’re more than delighted to be visiting our mighty community of stylemakers, bloggers, and users who help make the east coast our home away from home. 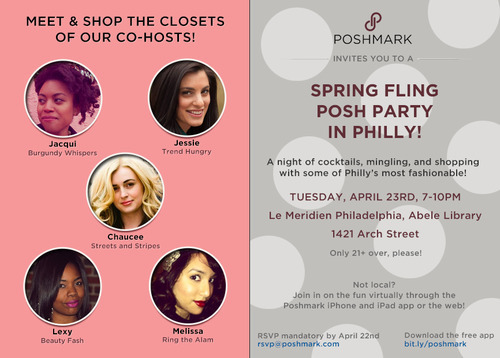 For our LIVE “Spring Fling” Posh Party, we’re teaming up with 5 amazing Philly-based style bloggers and fashion mavens, who will be opening up their closets on Poshmark for you to shop! Co-Hosts: Jessie of Trend Hungry, Chaucee of Streets and Stripes, Lexy of Beauty Fash, Melissa of Ring the Alam, and Jacqui of Burgundy Whispers. If you’re local, we’d love to have you join us! Come mingle, meet, shop, and have a cocktail with the Poshmark team and our co-hosts! Simply shoot us a note to rsvp@poshmark.com by April 22nd to get on the guest list (space is limited). If you’re not in Philly or you can’t attend, don’t you worry! Join us virtually through the Poshmark app or on the web for plenty of Poshmark fun from wherever you may be. Be ready to shop or list all your Spring Fling wears, including pastel skinnies, fabulous sunnies, and more!